It's confession time here (no relation to Lent!). Blogger lets me work ahead and recently I knew I was going to be on the road for a while so I took advantage of the Chinese New Year to work through February 13. Little did I know I'd get sick while away and need every bit of that time. Back when I still worked as a librarian full-time (I still sub. occasionally), I asked my mentor, Papa Joe, what storytellers did when they got sick. He said, correctly, there is no such thing as sick leave. Fortunately I fulfilled the storytelling needed right before getting sick and had no gigs scheduled while I've worked to get well. 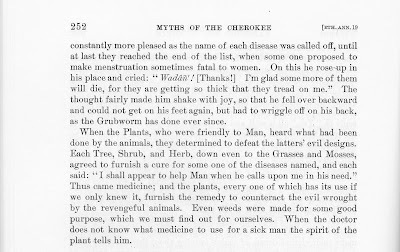 Thinking about being sick reminded me of a great little tale collected by James Mooney in his Myths of the Cherokee. 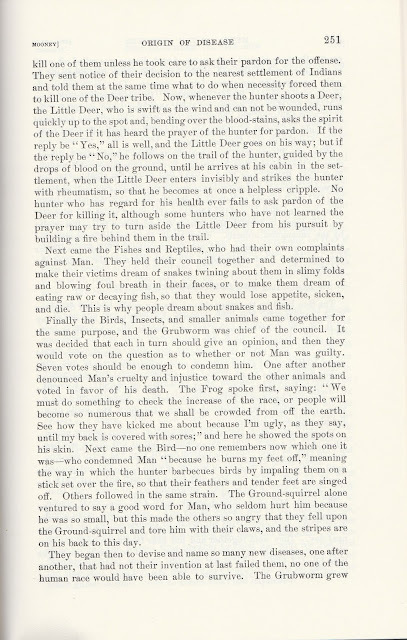 Not only did a Cherokee storytelling friend once verify the accuracy of the book by saying it didn't even make the elders snicker much -- as in their respecting its getting the material right! -- but the versions often tell well exactly as Mooney wrote it. 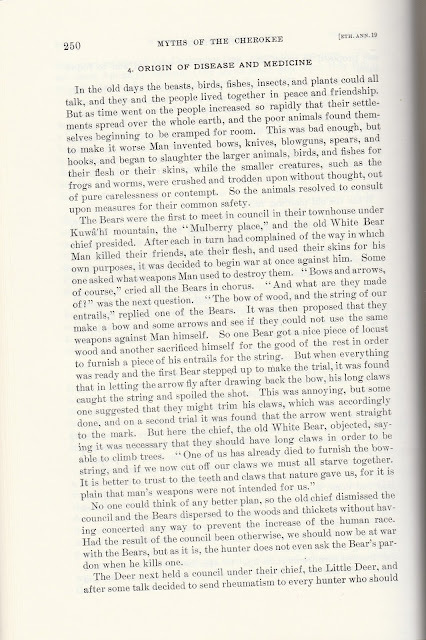 Today's story is wonderfully tellable. Aren't you glad the Plants were friendly? If you doubt the truth of the story, remember even something as basic as Aspirin goes back to Plants. As Wikipedia notes: Plant extracts, including willow bark and spiraea, of which salicylic acid was the active constituent, had been known to help alleviate headaches, pains, and fevers since antiquity. The father of modern medicine, Hippocrates (circa 460 – 377 BC), left historical records describing the use of powder made from the bark and leaves of the willow tree to help these symptoms. Of course there's more to the story and if you're curious, go to the Wikipedia link and read "Discovery of the Mechanism", "History", and "Trademark" for some interesting background before popping your next pill. I also promised a "bonus" bit of story about the Rod of Asclepius and the Caduceus. While I would have preferred a Cherokee symbol appropriate to today's story, it was easier to look among more common medical logos. The Caduceus is often thought of in the U.S. as that logo, but I discovered it's an incorrect usage. The symbol goes back to both Egyptian and Greek mythology and was incorrectly linked to medicine by the U.S. Army Medical Corps. 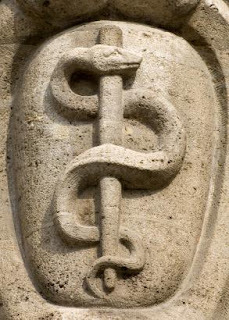 The Rod of Asclepius, which I showed at the start of today's article, has only one snake and no wings and is the correct medical symbol complete with a far more interesting, if too little known, Greek myth. Wikipedia may have become the encyclopedia of our online lives, but while looking for the Rod of Asclepius, I was delighted to come across Symbolreader, a blog written anonymously by someone with a background in both English and Psychology, who shares a love of symbols and says its "where I can turn my sight inwards and marvel at the universal unconscious patterns that are shaping the lives of our souls." Interesting stories are all around us in the symbols we use. 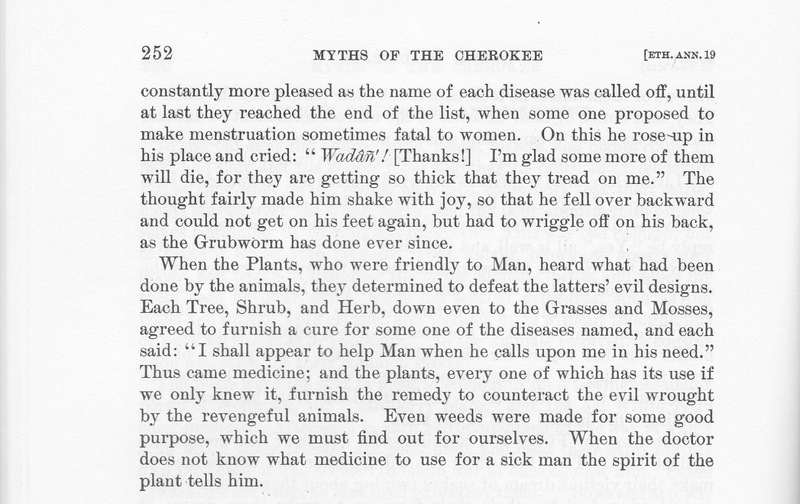 Hope you're not needing to fight off the ills plotted in Mooney, but if you are, thank goodness for the Plant World and its medicines. 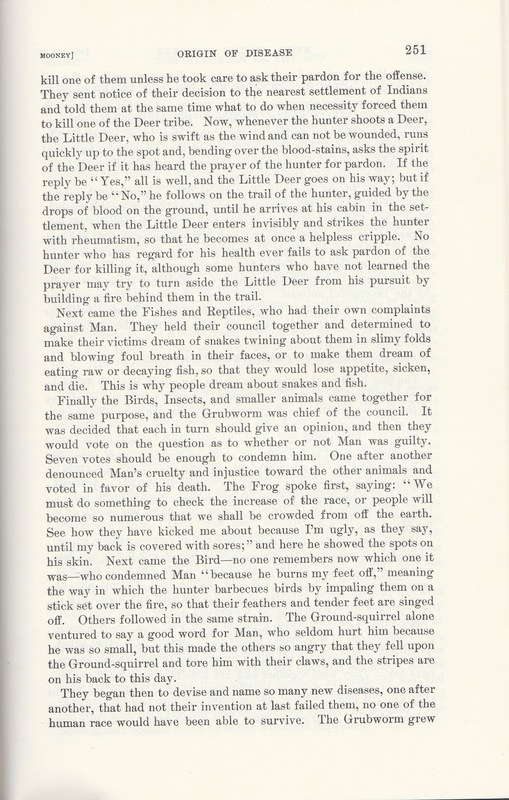 Stay well and enjoy the many wonderful stories found in the Public Domain!